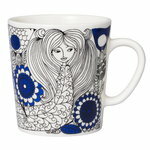 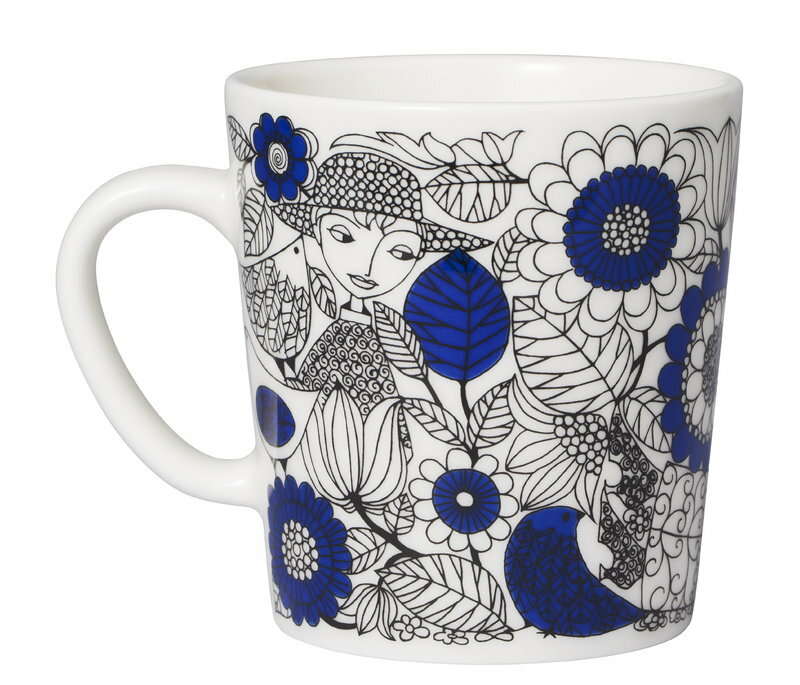 Arabia’s Pastoraali mug is adorned with the organic pattern Esteri Tomula designed in 1965. 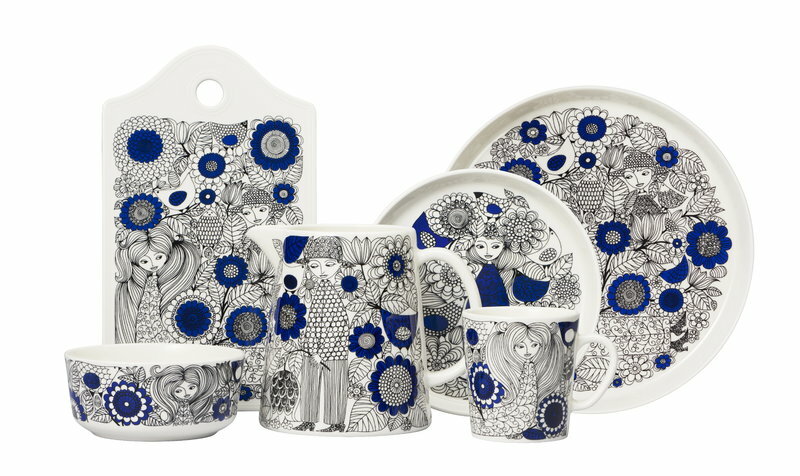 Pastoraali, featuring human characters among flowers, leaves and birds, was given a deep shade of blue since the new silk screen-printing technique allowed the use of bright colours. 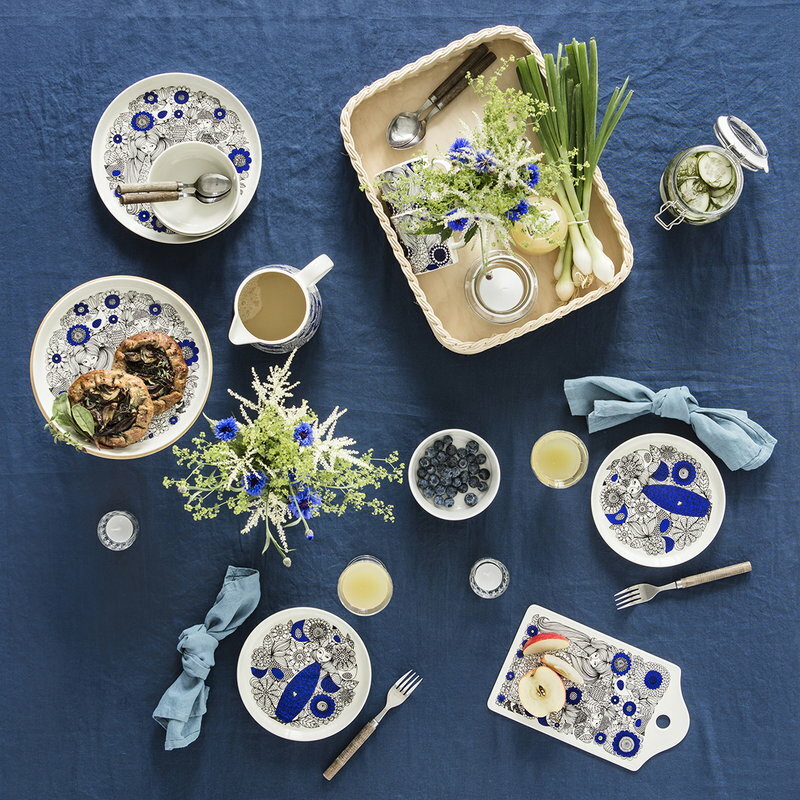 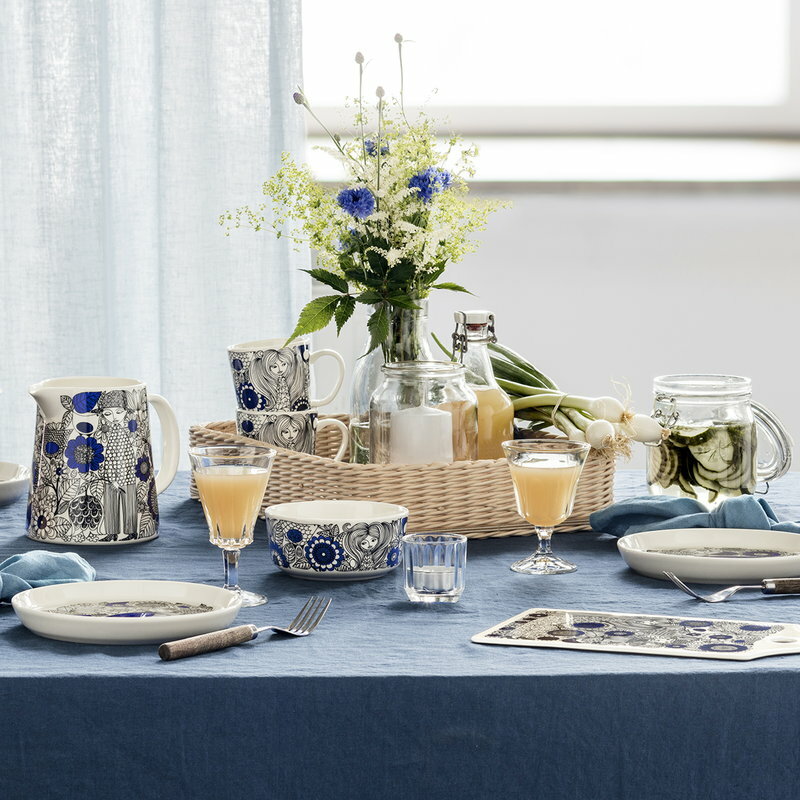 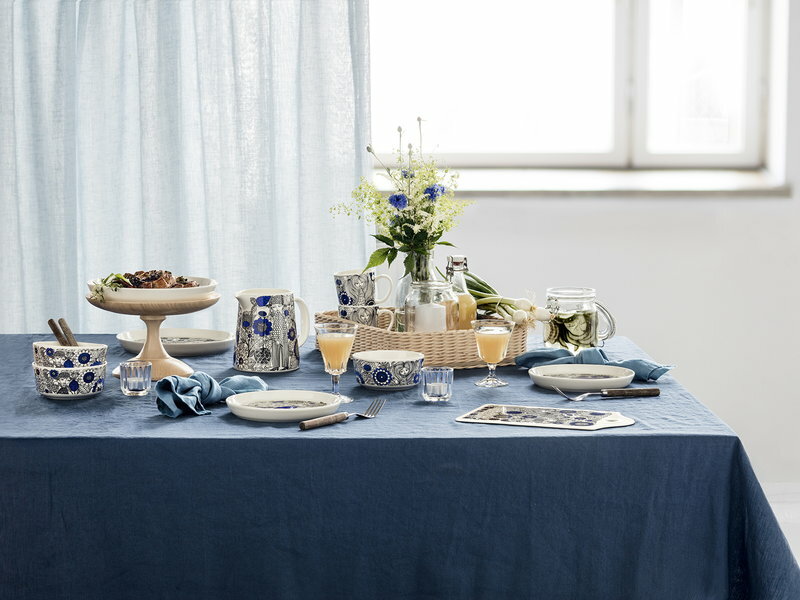 The rich pastoral landscapes have been printed on white, clean-lined ceramic tableware.